Happy Humpday everyone! I hope you are all enjoying your Wednesday. I love that that sun is shining out there today. I cannot wait to get out there and get in my run. Do you remember reading my Zipfizz Review? If you missed it, here is the link. I am happy to announce that Zipfizz has offered 2 Zipfizz Sample packs to my incredible readers! Giveaway will start today 1/11/12 and close on 1/16/12 at midnight. Void where prohibited by law. What you win – 1 Zipfizz sample pack. There will be 2 winners! The winner will be selected on 1/17/12 by using Random.org. A screen shot will be taken of the random entry chosen as well as a screen shot of the winner’s comment and will be posted on this blog on 1/17/12. In addition, I will email the winner. The winner will have 48 hours to respond via email to runningwiththegirls AT gmail.com. If the winner does not respond within that time period, a new winner will be chosen using the same procedure listed above. Zipfizz is the sponsor of this giveaway. Contact information is here. 1. Be a follower of mine through Google Friend Connect & tell me you are in a comment. 2. Tell me what you love about Zipfizz. 3. Follow Zipfizz on twitter here & leave me a comment below. 4. Like Zipfizz on facebook here & leave me a comment below. 5. Like Running With The Girls on facebook here & leave me a comment below. I lOVE the way Zippfizz gives me energy on a long run! I like Zippfizz on fb. I like Running With The Girls on fb too. I'm now following ZippFizz on Twitter. I am a friend. I love that I can get my energy from zippfizz with only water!! I don't know what's great about Zipfizz but i'd love to try! I'm following zippfizz on twitter! I posted the giveaway on my sidebar on my blog! I am a friend/follower. 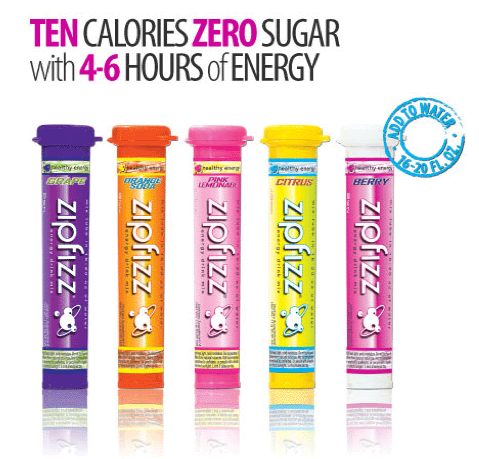 I love Zippfizz because it is one of the ONLY low calorie beverages that doesn't interfere with my food allergies! I can drink Zippfizz with no ill side effects! It is wonderful! I follow Zippfizz on Twitter and Facebook. I follow Running With The Girls on FB. I also shared the contest on Twitter! I'm a follower, but I'm also curious why you're waiting a month to announce the winner. Or perhaps that's a typo...? I follow Zipfizz on Twitter. I liked ZipFizz on FB. I added the giveaway to my blog's sidebar. I follow you of course and I like that it's low in calories...hopefully that means it's low in sugar! I like that it is convenient and the no sugar and low calorie count is great too! I liked Zippfizz on Facebook under my blog's facebook page! I liked running with the girls on facebook under my blog's facebook page! I shared the giveaway on my blog's facebook page! I "like" ZippFizz on facebook! I follow you! Love the blog! Like Running with Girls on facebook. I love that it has no sugar. I follow Zipfizz on Twitter! I like Zipfizz on Facebook!